Join us Friday, Oct. 28th for Shopping & Lunch! Is your holiday shopping finished? 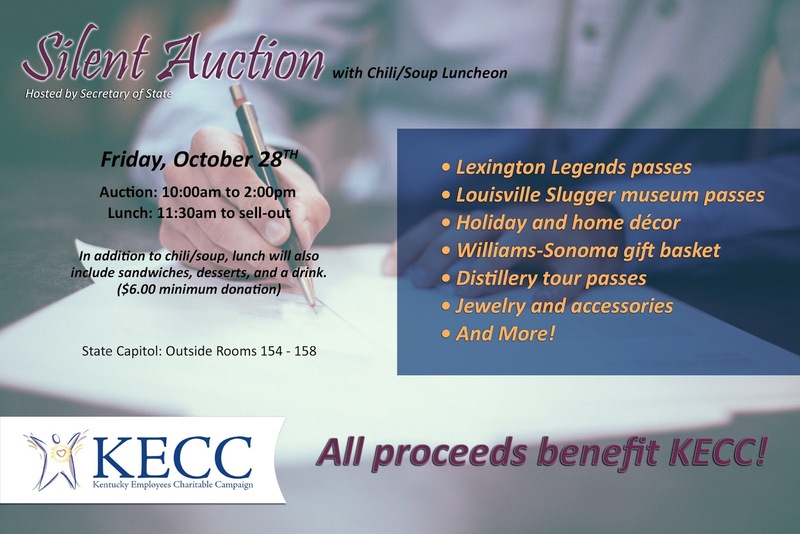 If not, join us for the Secretary of State silent auction and chili/soup lunch on Friday, October 28th. The auction will be held from 10:00am to 2:00pm. Lunch will be served from 11:30am to sell-out. Join us outside of Rooms 154 - 158 of the State Capitol to benefit KECC! 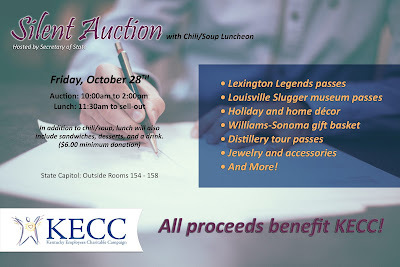 Some of the great items up for auction include: Sports passes, Holiday and home decor, Distillery tour passes, Jewelry & Accessories -- Just to name a few! All proceeds will benefit KECC.